Solid color vector outlines of some objects related to nature and life. 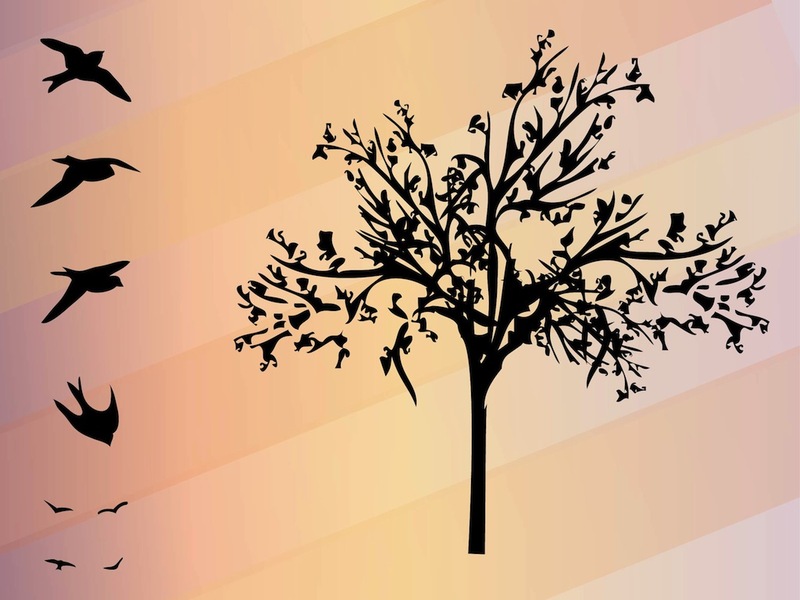 Stylized tree and birds with generic shapes and designs. Tree silhouette with a thin trunk and many leaves on the branches and various flying birds with different positions. Free vector illustration for all nature, forest, plants and animals designs. Tags: Animals, Birds, Branches, Leaves, Plant, Tree, Twigs.